No matter how much you earn with your affiliate activities, this sum could always be doubled, tripled, quadrupled and so on ad infinitum! All you need to do is apply some useful SEO friendly techniques which are often skipped or done improperly by others. The cooler it is, the more visitors you’ll have. And coolness goes far beyond appearance, as your site must attract search engine bots. SEO makes a website more relevant to them and, as a result, your ranking increases. That’s why these little SEO tricks are important. Go get some drinks, tip back in your chair, and read through the steps listed below. After you’re done, you’ll be able to use the knowledge and start increasing your affiliate income immediately. The technical issues of your website can adversely affect its search engine performance. First of all, you should check your website’s health, detect the issues, and solve them. As said by Bill Sebald from Greenlane Search Marketing, a clean website structure that’s free of technical issues is one-third of successful SEO. Luckily, the web is full of specialized tools providing the in-depth analysis of a site. There’s a lot of free and paid solutions differing in quality, presentation of data, crawl depth, scheduling, and exporting functionality. What tool to use is up to you. In this article, though, we’ll take a look at these guys! After you’ve determined and fixed the most dangerous errors, proceed to the next step. Don’t aim at search terms with the highest volume. It’ll be incredibly difficult to dethrone the bad boys standing on the top of the search results with these keywords. Instead, you can choose the keywords which are similar to the difficult ones, but mixed with related terms. Try targeting some long-tail keywords. The amount of traffic coming from these is less when compared to short phrases. Even so, if you find the right long-tail keywords, they’ll bring you more benefits in the long run. Let’s say that your affiliate website is dedicated to online marketing tools. The ‘online marketing tools’ search term is highly competitive, but you still want to get a piece of the traffic while seeking for something related. Given these conditions, you should use such keywords as ‘research tools for online marketing’ or ‘free tools for marketing of a small business’. Their ‘KD’ – keyword difficulty – is way lower compared to the original query, meaning that your chances to get to the top with these keywords are better. But how to find realistic long-tail & related keywords? You’ll need a renewable source of these but this whole keyword research process isn’t hard, if you happen to be using the right tools. 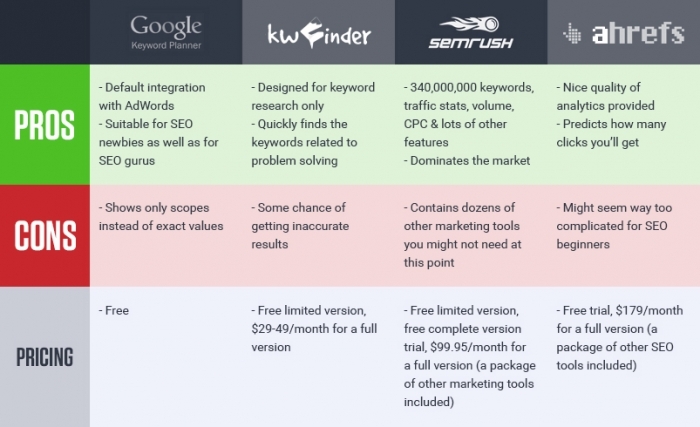 Here are some awesome keyword research tools for you to check! Now that you’ve got a polished list of perfect keywords, it’s time to use them to the max! It’s not enough to just write good content these days. In fact, it doesn’t matter how cool, engaging and funnily-written your texts are. If they’re not optimized properly, the probability that they get to the golden top of search results is not gonna be too high. Let’s suppose you have a topic for a new article, dedicated to online marketing tools. 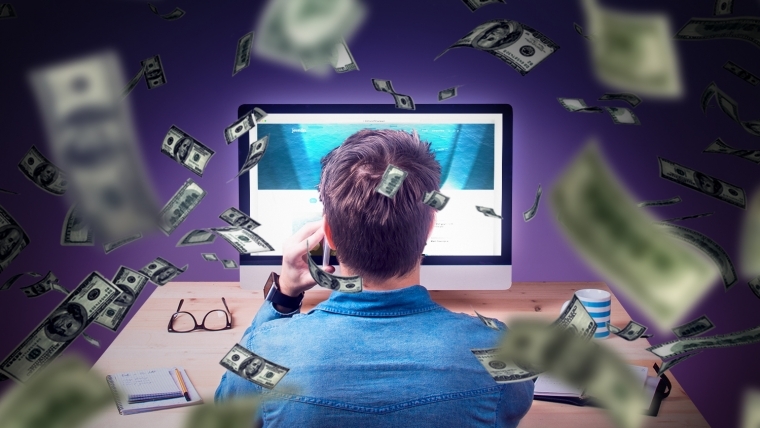 ‘These 10 Online Tools Will Turn Your Marketing Into Gold’. Apparently, all that remains is to write a copy and enrich it with all these keywords you’ve dug so far. But don’t be hasty at this point, because you should go a little bit deeper. Now, it will be easier for robotic crawlers to index and rank your article well. And if you want to reach even greater results, check your article’s readability using the Flesch-Kincaid formula. Easily readable content is preferred by both users and crawler agents. Pay attention to your article’s length. Recent SEO studies show that long-reads (approximately 2,000 words) are getting higher chances to reach the top of the SERPs. And of course, try to write for people in the first place. Any kind of content made by you should satisfy the needs of your audience, answer their questions, and solve their problems. Links are significant because they belong to the group of the most important ranking factors. They’ll help you increase website authority and rank higher in the search results. That’s why you need to do some work with all sorts of links. Place links from this new article to the related content: landing pages, relevant articles, etc. 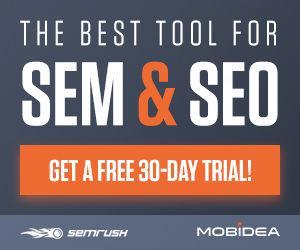 Acquire as many backlinks to your article as possible: for link building and backlink ideas you can use tools such as MOZ, SEMrush (30-day free trial), Majestic, or Ahrefs. It’s better to get 10 backlinks from 10 sources than 100 backlinks from 1 source. Search engines consider a website more authoritative if it has a lot of backlinks from other sites. 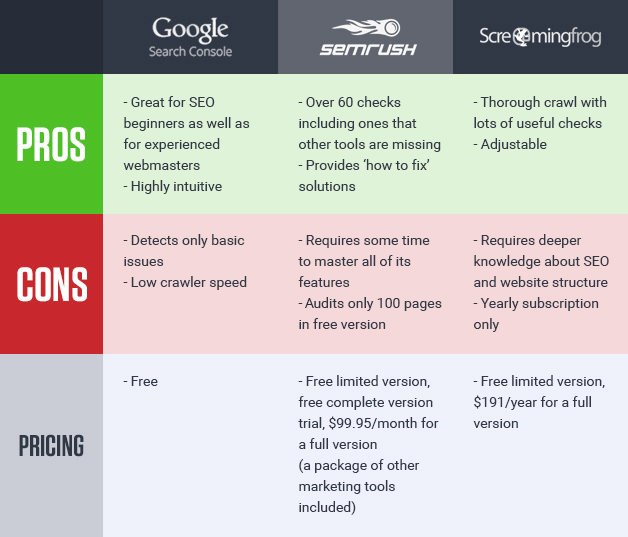 They all should come from trusted resources and should be relevant to your content. Let’s think about the math here, shall we? The more qualitative backlinks you acquire, the higher your position in the SERPs is gonna be. Well, that’s all it takes. But SEO is not only about a website’s technical health, good content, keywords, and backlinks. It’s also about user experience. If your users are engaged, they will spend more time on your site. And that’s not only a good signal to the search engines, allowing you to celebrate higher rankings. It will also increase the chances that these users will actually click affiliate links bringing you more money. By following these crucial steps on a daily basis, you won’t have to wait too long to see results. With an SEO at hand, your affiliate website can become a well-oiled mechanism that’ll turn your visitors into potentially lucrative customers. And this is what you’re dreaming of, ain’t it? You can signup to SEMrush for free, here!